Dr. Heather Bronaugh graduated from American University of the Caribbean School of Medicine in 2001. 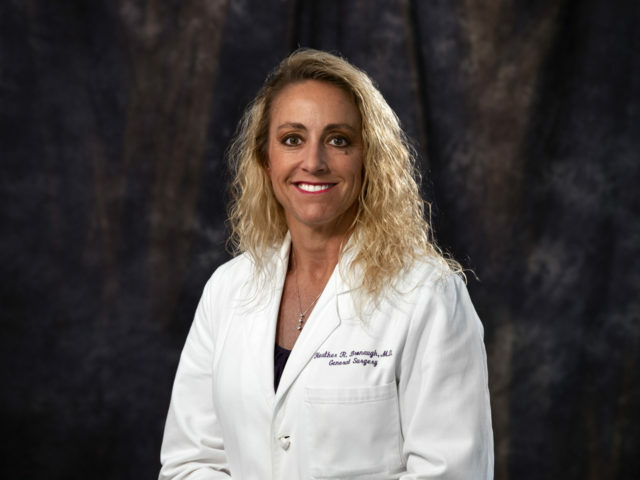 After completing her residency at Louisiana State University Health Sciences Center, Department of Surgery in 2005, she moved to Slidell to practice as a general surgeon at Slidell Memorial Hospital. She became a Fellow of the American College of Surgeons in 2008. Dr. Bronaugh has been in practice since 2005, all of which has been here at Slidell Memorial Hospital. The General Surgery Clinic evaluates and treats most general surgery conditions as well as screening and diagnostic endoscopy procedures.